When Kellie started training with Strong Body SA her goals were drastically different from what they ended up being during the bulk of our training time together. She came to Strong Body wanting to strengthen her body and lean out to a weight she was more comfortable with. Kellie started with a bang. In her first 6 weeks she lost several pounds and inches overall. She was well on her way to accomplishing what she set out to do. Not only were we meeting 3 times per week, she was adding supplemental workouts on her own according to Strong Body’s guidance and learning how to adjust her meals so that she was properly fueling her body. And then a wrench (a good wrench!) was thrown into our plans – Kellie learned she was pregnant. Immediately upon learning the news Kellie made the decision to continue to workout throughout her pregnancy. She got clearance from her doctor who was happy to know she would be continuing her healthy habits, knowing doing so would make her pregnancy and birthing process easier. Strong Body SA changed Kellie’s workout plan from one that incorporated HIIT and heavy strength training to one that focused on functional movement for each trimester as her body changed. We incorporated much more stretching into her routines and were cautious to listen to her body as it gave us signs to slow down. With these few small changes Kellie was able to workout up until the week before she gave birth to her precious son Kash. Not only was Kellie able to have a much more comfortable delivery because of her exercise regimen during pregnancy, she was able to return to exercise just 6 weeks post birth after getting clearance from her doctor. Since then she’s been just as diligent and dedicated attending her training sessions and putting forth everything she has each time we meet. Because of this, she has continued to progress and meet the goals she’s set – and she’s not done yet! 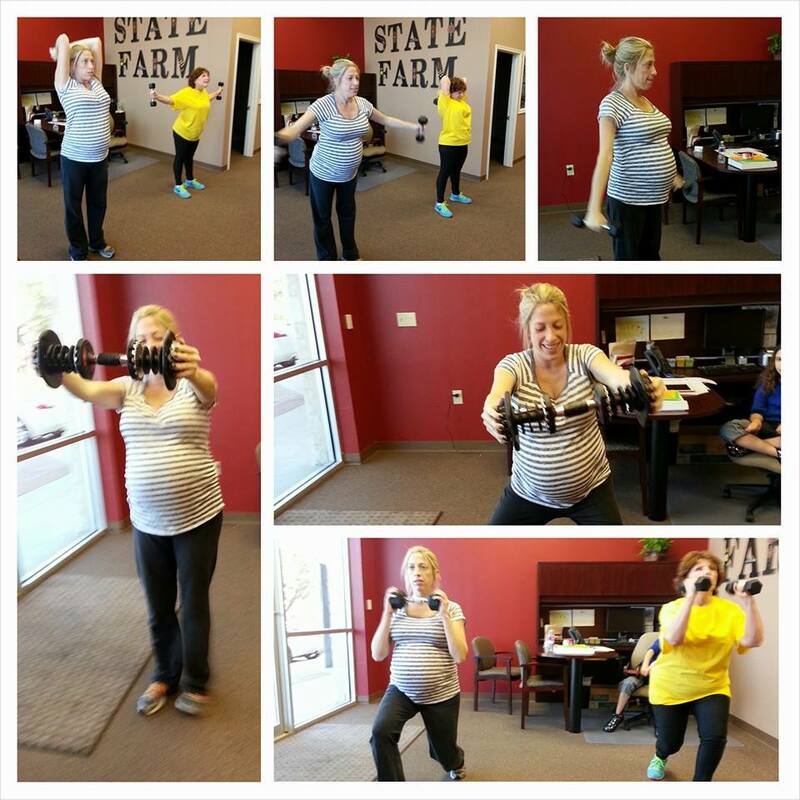 Strong Body SA is extremely proud of Kellie’s efforts in the gym both before and after having her son. Here’s what Kellie had to say about working with Strong Body SA. What I like most about working with Strong Body SA is having both accountability and encouragement and more specifically Jennifer. For myself and others the gym doesn’t always come first on the list of priorities despite the fact that it should. It is easy to rationalize not going due to other commitments or obligations but knowing I have Jennifer waiting for me to show up and give it my best suddenly makes it a commitment I can’t back out of. Jennifer knows what I’m capable of and will hold me accountable to that standard which allows me to push myself more than I would otherwise. Initially during my pregnancy fatigue was my biggest obstacle. I just didn’t feel as though I had the energy to put into a good workout however as time went on I noticed my stamina increase. It was this increase that became invaluable to me during delivery. I never needed a break during labor and my recovery time was much quicker than if I hadn’t been working out. After my delivery I struggled with soreness which Jennifer would compensate for with alternative exercises. Since my start with Strong Body I have lost 15 lbs – that is my biggest accomplishment! I’ve seen an increase in my energy level that has benefited every aspect of my life… from work to spending time with my son. What’s the best piece of advice you would give to others thinking of starting a new or different fitness program? Do not give up. It’s easy to get discouraged when you don’t reach a goal you wanted or feel you’ve failed in some way but you have to be “the little engine that could” and just keep going. You will get there with persistence.